With the Insert template macro, you can create building blocks, that you can reuse in other templates. Store any piece of that that you want to reuse in a template and then recall it by using the macro. Doing so, you can update a single template and all the other templates will contain the updated version automatically. Find the template that you want by typing in the search box. Select it and click OK. If the selected template doesn't already have it, PhraseExpander asks you to assign the Id to the template. 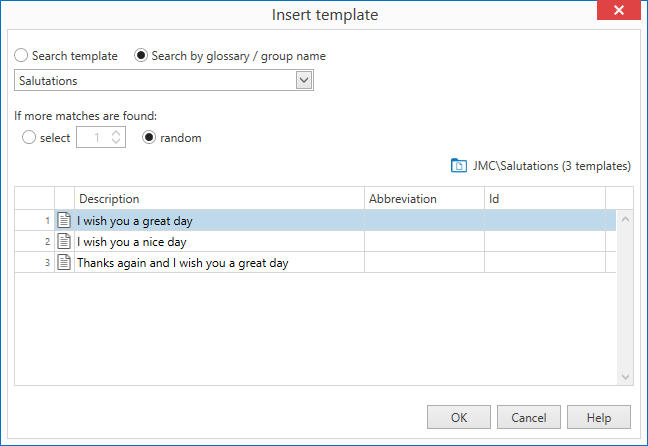 PhraseExpander adds a new macro in the current template. 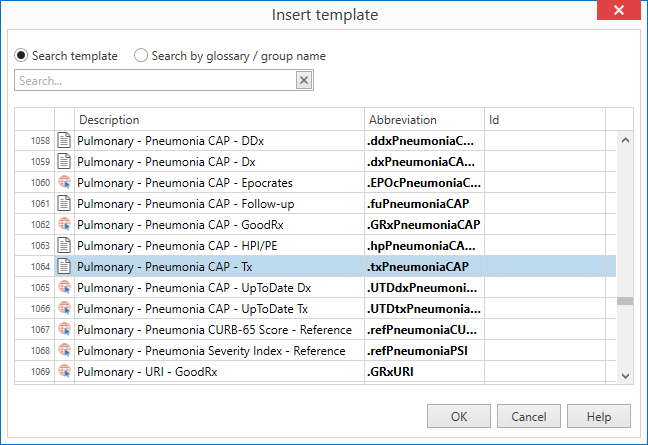 Click on Search by glossary / group name to choose the group containing the templates you want (PhraseExpander will show the templates contained in the chosen group and all the child groups). The macro will return a specific template or a random one in the list (the random option can be useful, for example, when you want to slightly change your wording to add variations to your notes).